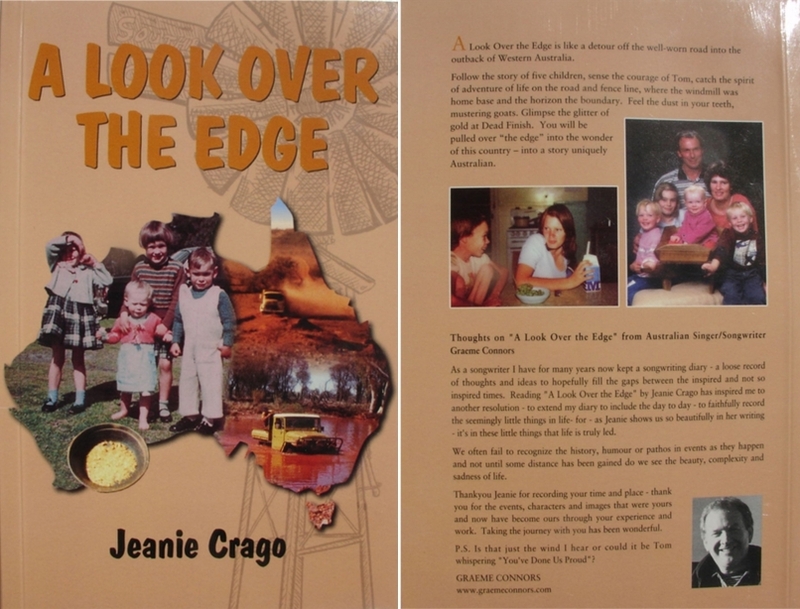 A Look Over the Edge is written by Jeanie Crago, who is also the author of The Maroon Bush Story, and a passionate believer in bringing awareness of the Maroon Bush to people today. A Look Over the Edge is a detour off the well worn road into the outback of Western Australia. In the 200 pages of this paperback you will follow a unique story of five children. You will sense the courage of Tom, our brother who died from cystic fibrosis at thirteen; catch the spirit of adventure in life on the road and fence line, where the windmill was home base and the horizon the boundary. You will feel the dust in your teeth mustering wild goats, and glimpse the glitter of gold at Dead Finish. You will be pulled over “the edge” into the wonder of this country – into a story uniquely Australian. Jeanie and I are two of those five children, and Jeanie’s passion in her work with Maroon bush and its history, along with my vision in the Eye Gym are some things that grow out of this story and who we are.